Cilia® stands for finest tea enjoyment. Melitta Group has been offering its range of high-quality tea filters and innovative solutions for the preparation of tea under this brand since 1984. 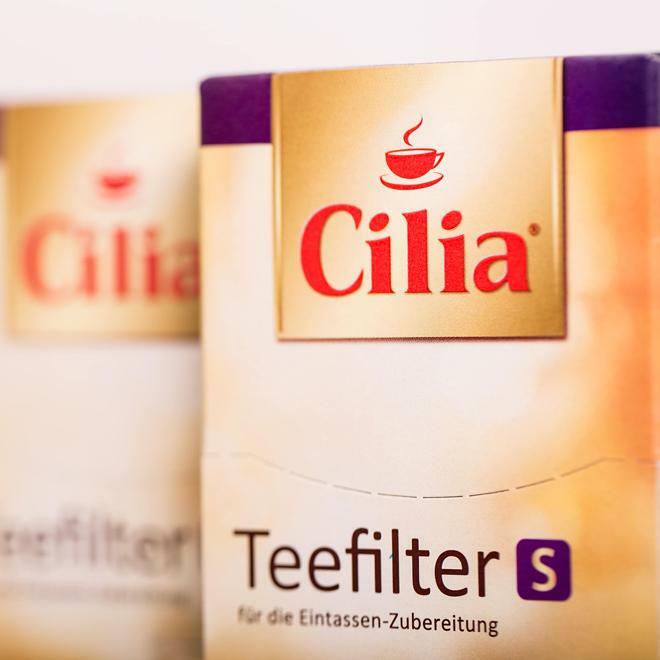 Cilia® tea filters are distinguished by their ease of use and offer clean preparation. The special structure of the filters' net ensures that tea unfolds a full and balanced aroma. Since tea filters from Cilia® are biodegradable, they fulfil highest expectations of ecological soundness. Cilia® offers tea drinkers in Germany, Austria, Belgium, France, Russia, Sweden and Switzerland highest quality and optimal functionality so that every cup of tea is pure enjoyment, right from the very first sip.